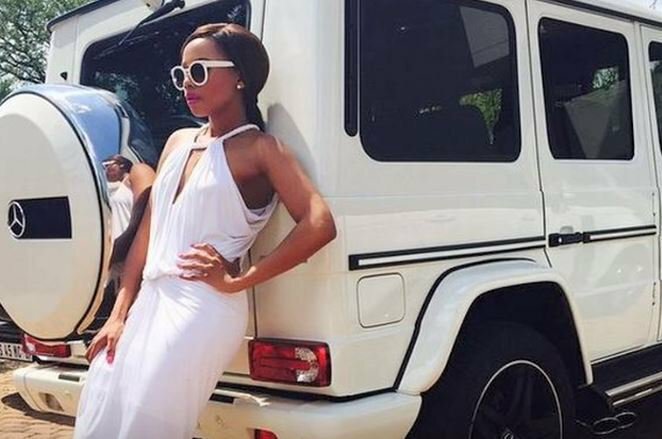 Bonang Matheba appears in the Specialised Commercial Crime Court to face tax fraud charges. South Africa's media darling Bonang Matheba touched down in South Africa just in time to make it to her court appearance. Queen B, who spent the last two weeks in New York for work commitments, was spotted at the Specialised Commercial Crime Court in Johannesburg on Thursday. She is facing tax fraud charges. Her personal returns from 2008 to 2017, and her company taxes for the 2014 to 2017 period, are being investigated. She is reportedly facing 15 counts of contravening tax laws. Bonang arrived at court early after heading there straight off a flight from New York. She is said to be "surprised" by the tax inquiry, but will comply with SARS to sort out the issue. A warrant for her arrest was also cancelled. A bench warrant for her arrest was issued last week after she failed to appear in court. If she did not appear in court today, police would have arrested her. Members of the media surrounded the star when she left the court. The 31-year-old did not speak to reporters and seemed unfazed by their presence. The case has been postponed to November 14. Here's a look at how social media users reacted to Bonang's court appearance. But Bonang Matheba will rise above this. One thing you can’t question is her resilience....it’s unparalleled.